11.30.12 Alan Abbadessa-Green joins us once again to talk about his books and the journey he’s been on while writing and compiling these works. His new book, Suicide Kings, is in the works, but the topic mainly swirled around synchronicity in world events and Mystical Toponomy. We discuss the possibilities of “ritual” versus “synchronicity” in the numerology, symbolism, and topography of major world events, and how we can avoid going on “Luciferian Illumanati” witch hunts in a society filled with kneejerk reactions. 08.04.12 This week, we are joined by Alan Abbadessa, writer of Look At All The Happy Creatures, to talk about his latest work, The Sync Book. 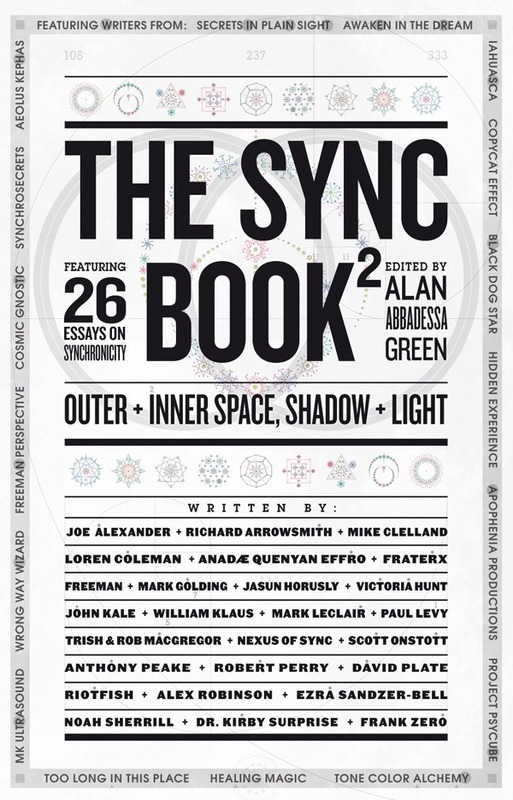 The Sync Book is a compilation of 26 brilliant authors about synchronicity in the universe. The second volume of The Sync Book with 26 new authors. November 29, 2012.